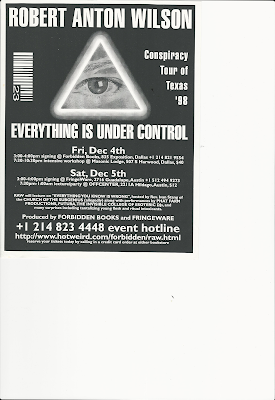 John Merritt sent me the above flyer for a 1998 "Conspiracy Tour of Texas" featuring Robert Anton Wilson and Ivan Stang. 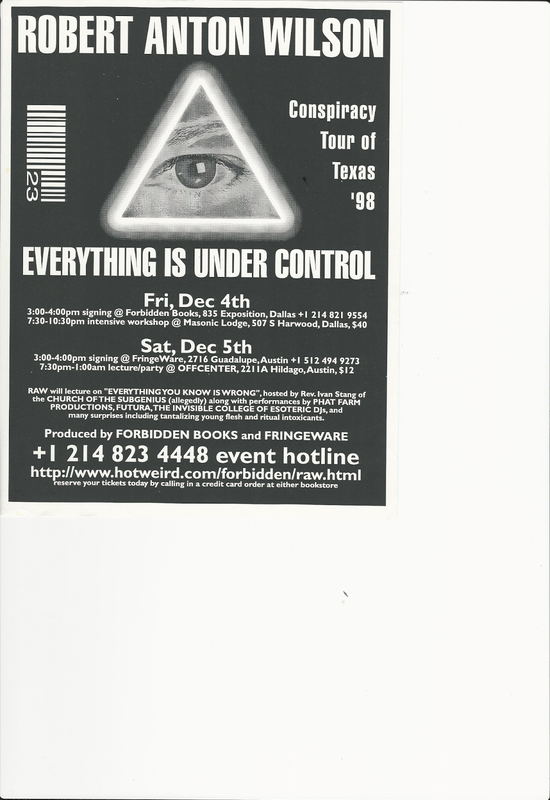 Fringeware was an unusual Austin shop that had all kind of weird items; I used to love getting the shop's catalog. 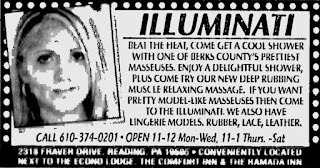 Jesse Walker, meanwhile, has Tweeted out evidence that the Illuminati are in Reading, Pennsylvania. Or at least they were. The ad ran in the early 2000s, but the place is out of business. Cosmic Trigger online reading group, Week 20! Cosmic Trigger online reading group, Week 18! Is Gary Johnson a libertarian? Cosmic Trigger reading group, Week 17!